I have doubts when visiting a restaurant and the customer base doesn’t represent the ethnic origin of the establishment. Little India is one of those places… possibly due to its central Queen West location close to the Entertainment District. Nonetheless, since they’ve been operating for years and are generally rated well, a dinner seemed in order, despite their lack of Indian clientele. 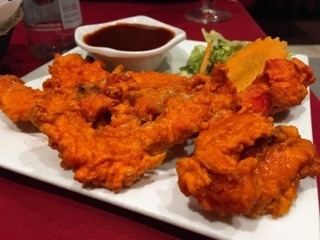 For anyone who likes chicken fingers, Little India’s chicken pakora ($7.75) is a fantastic take on the classic dish. Juicy pieces of white meat is lightly breaded in a colourful but rather tasteless batter and deep fried until it’s ever so slightly crunchy. On their own, the pakora are underwhelming; but, a dip into the sweet and spicy tangy tamarind sauce does loads to improve the starter. The lamb vindaloo ($15.50) had the basic hit of fiery heat you’d expect from the dish, but lacked the vinegar and herbs in the background that makes it more than just a spicy curry. 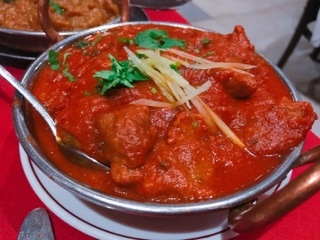 The lamb itself was fine – soft enough and not gamey – however, the portion rather meagre with large potato chunks filling a third of the bowl. What I’ve come to realize is vegetarian dishes are often better choices at Indian restaurants. There were large pieces of paneer in the tikka masala ($14.95). The creamy tomato sauce just ever so slightly spicy but not overwhelming to detract from the cheesy firm tofu texture of the paneer. 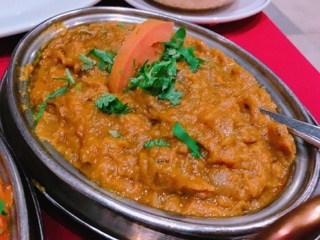 The eggplant bharta ($12.50) was wonderfully fragrant and flavourful; it didn’t depend on chilies, instead relying on sweet chopped caramelized onions. 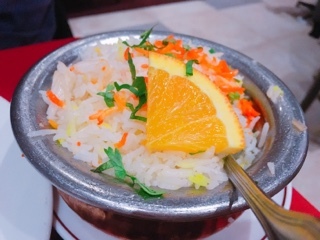 It’s the perfect dish for those who can’t handle heat and goes equally well smeared onto naan or combined with pulao rice ($4.25). 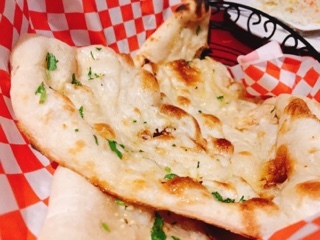 Little India’s garlic naan ($4.25) is great – chewy, fluffy and has a light smokiness without tasting burnt. 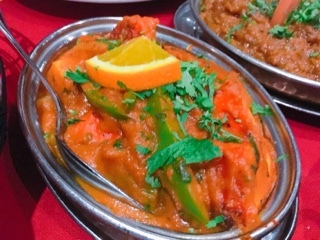 The salty garlicky topping goes especially well the eggplant bharta, definitely consider pairing as an appetizer. 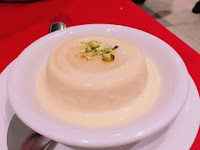 Having tried rasmalai and gulab jamun on previous occasions and finding both overly sweet, I was delighted to find additional options on Little India’s menu. 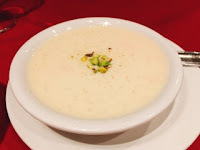 The kheer ($3.95), a rice pudding, uses a similar sweet cardamom infused milk base as rasmalai and is heavy on the sauce compared to rice (imagine a sweet congee). Despite the crystal shards in the kulfi ($4.75), it was my favourite of the two sweets. The sweetened milk ice cream is cold and hard (give it some time to melt), but after getting through the crystals finishes off creamy with a nuttiness from the finely chopped pistachio and almonds. Of all the desserts, the sugariness is subdued and ideal for those who want a lighter dessert. Perhaps I’ve been too judgmental – if a restaurant attracts diverse clientele, they shouldn’t be penalized for the hospitality. After all, they may not necessarily “tone down” their menu; factors such as service and location matter as well. 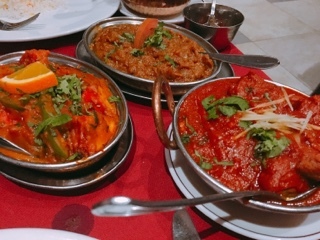 Little India’s service was impeccable – friendly and everything served quickly and correctly. 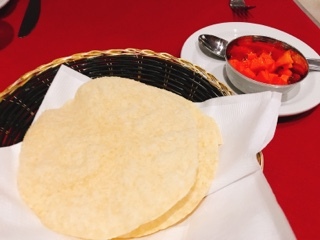 Little perks like the complimentary discs of crispy papadum with crunchy carrot chutney are also hard to turn down. Give everything a chance, you’ll never know until you try.